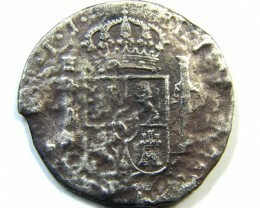 First DO NOT clean valuable coins. 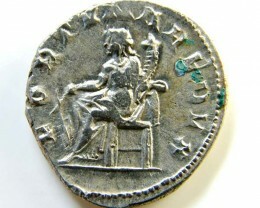 Most collectors rarely clean a coin as it can greatly reduce its value. 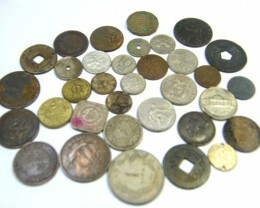 If you have some smaller value coins like Dimes or Pennies, then this article is for you. Patina is the thin layer of tarnish that develops on a coin over many years and many coin collectors appreciate this, as they grade coins with too many factors to consider from rarity of the date and condition of the coin. It can be greenish copper- type colours or brownish hues. 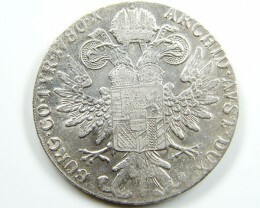 It is best not to clean patina off rare coins as the value can be reduced. 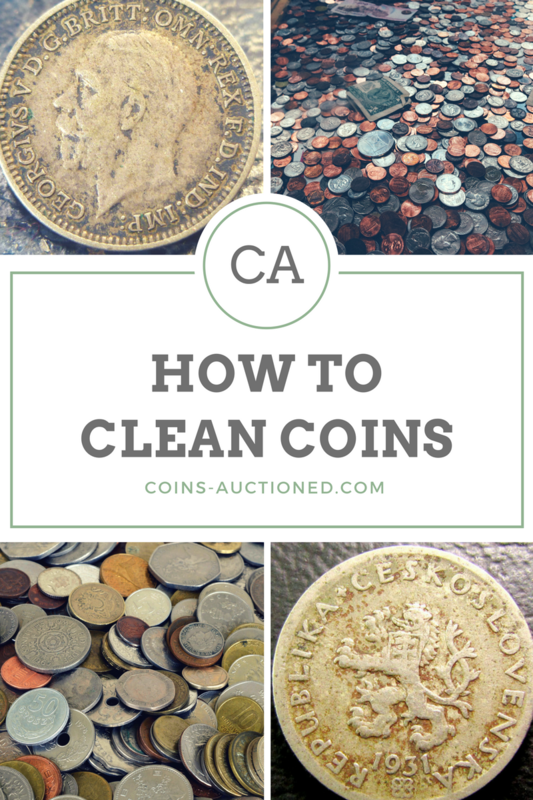 99% of coins do not increase in value after you clean them but if you have some old coins you wish to clean, try these steps. We all have coins in our drawers which are dirty and even have a certain smell, fortunately most of these are lower value coinage and you can enjoy cleaning these as most are just pocket change. Rinse the coins under running water. Hold the coins by their edges. Distilled water is best as most water is now treated with fluoride and this can cause different chemical reaction with some coins as many coins have several metals within them when they are minted. Soak the coins in vinegar for around a minute. Rinse in running warm tap water and fully rinse the coins. Air dry instead of using a drying cloth. If it is still dirty you can use light brush for caked-on dirt. Dry the coin with a soft lint free cloth. Do not rub coin, just let it dry in the air. 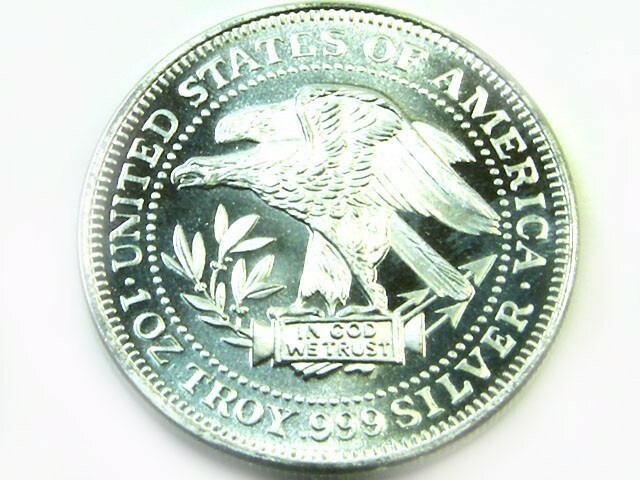 Complete the same process as outlined above and soak for 5 minutes in lemon juice help to keep the coin shiny. Canadian coins that is 99.99% pure silver does have a problem with Milk spots, this refers to milky white substance that appear on Royal Canadian Mint Coins. This is due to their mintage process and microscopic silver chloride debris that is responsible for leaving the blotches. 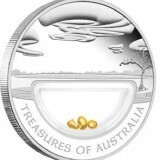 Perth Mint coins do not have these issues as they updated their equipment and it is very rare to find an Australian silver coin with these milk spots, but the Royal Canadian Mint (RCM) still has this problem. The Royal Canadian Mint had stated that their coins are not collector coins but bullion, so it is not a problem they intend to address. 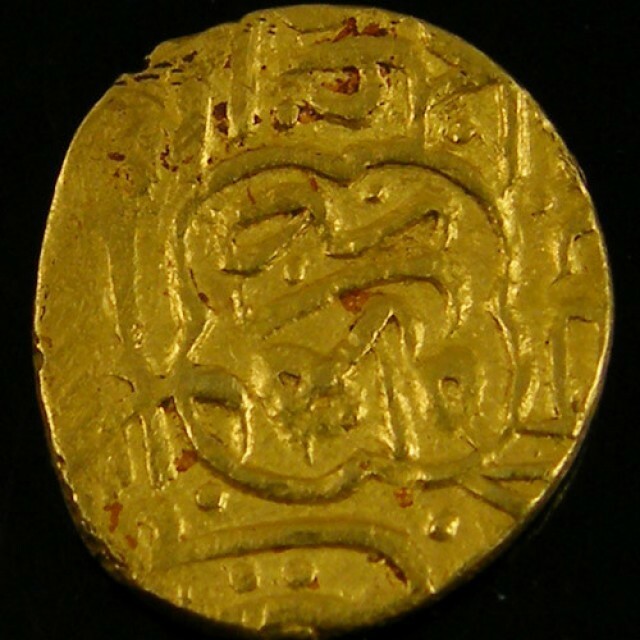 They do not consider bullion as circulating coin or for collectors. So be aware when buying RCM coins that they may have milks spots on them at some stage. 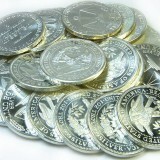 Silver Maple Leaf Coins seem to be the most effected silver bullion. It seems once over .999 purity to go to 99.99 % pure silver is very complicated. Some people use pencil rubbers to clean or silver cleaning cloth for silver jewelry. Best to keep RCM coinage in capsules but some NGC capsules have developed spots after sealed. Most countries mintage of large volumes of copper coins that were low denominations but some of the deigns were of high standard so its easy to understand why people want to clean these copper coinages. Britain’s one penny displayed beautiful design, Britannia seated facing right, wearing a helmet, holding a trident, hand resting on a shield and most famous copper coinage is the shipwreck 1808 Admiral Gardner Shipwreck coins popular with coin dealers worldwide. 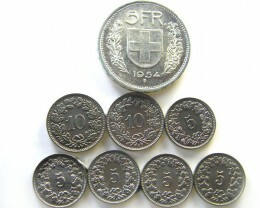 European copper coinage includes 1853-1856 (five) 5 cents with beautiful Roman style design. 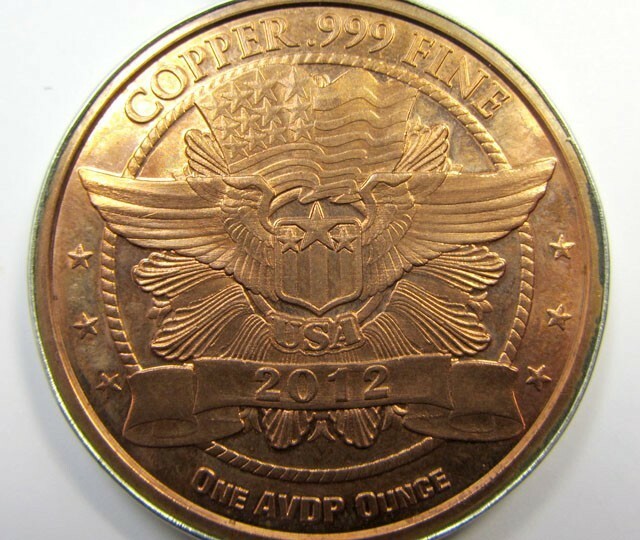 The reasons why people want to clean copper coins is to remove the Copper oxide, a greenish tarnish common on these copper items. Place a table spoon of table salt in small container. Add white vinegar to moisten salt. 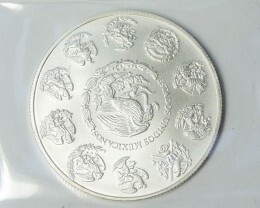 Apply paste to coins, some may need to be soaked for 5 minutes. The effect is immediate. You can use ketchup, tomato paste or lemon juice as they are also acidic. Do not use this method on valuable coins and be careful not to get any in your eyes. 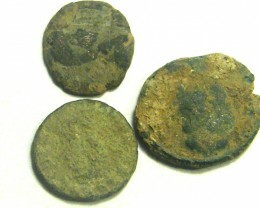 Bronze coins can also be cleaned in soapy water or olive oil but not virgin olive oil as it might tarnish the metal. Soak the coins in warm soapy water only. Distilled water is best. Air dry the gold coins only. Gold is too valuable to risk damage. Some people do use a gold cleaning cloth that is used for gold jewelry. 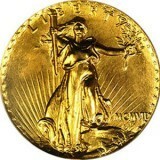 Soak in soapy distilled water but never use lemon juice or vinegar on Bronze coinage. 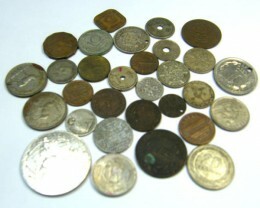 Baking Soda can help clean the coins when they are soaked in soapy water. Try an acid product but only if you are sure of the coin type. If you’re not sure of the type of coin use hot sauce like Tabasco or taco sauce, Coke or coke products can be used. Store your coins in an airtight container or better still a coin capsule. Use a commercial coin cleaners if you are uncertain. Do not use abrasives on a coin as they can scratch easily. Do not use household cleaners on your coins. Do not use silver dip cleaners from home or silver polish.